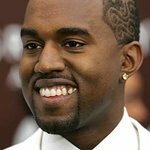 Grammy Award-winner Kanye West and Billboard chart-topping artist Iggy Azalea have been added to the 2014 Los Angeles Budweiser Made In America Music Festival line-up taking place at the Los Angeles Grand Park on August 30 and 31. Kanye West will now headline both the Philadelphia and Los Angeles “Budweiser Made In America” Music Festivals. Kanye West and Iggy Azalea join previously announced Los Angeles headliners Imagine Dragons and John Mayer. The “Budweiser Made In America” Music Festival also revealed today the daily line-up for the Philadelphia and Los Angeles versions for one of the country’s premier summer festivals. The “Budweiser Made In America” events will benefit United Way of Greater Los Angeles, United Way of Greater Philadelphia and Southern New Jersey and United Way of Lancaster County. The two-day music festivals created by Budweiser and Live Nation will deliver must-see performances on both coasts with headliners Kanye West, Kings Of Leon, Tiesto and Pharrell Williams in Philadelphia and Kanye West, Imagine Dragons and John Mayer in Los Angeles. Daily line-ups for both festival locations are listed below. Single-day tickets for both festivals will go on sale Friday, July 18 at www.livenation.com and through the Live Nation mobile app. Single-day ticket prices are $89.50 for Philadelphia and $99.50 for Los Angeles. Be sure to check in at www.madeinamericafest.com often for the latest updates on both festivals.